Anya walked through Krestlin’s grand hallway, descending down its wide ornate staircase to the palace's main floor. As she walked purposefully, she was not greeted as usual by any of the staff. Anya was unaware of her appearance or unconcerned, but all who noticed her, all who passed by her were shocked, by what they had seen. The normally gregarious and friendly young woman, who was always immaculately adorned, and who knew by name, most of the staff, whom she would without fail greet, even at times, converse with any who would engage her, seemed, like a stranger, as she passed by. Anya’s eyes darkly circled, remained downcast as she walked. Her face was unusually pale, as were her lips, and she wore a cloak under which she tried to conceal herself. She looked as if she hadn’t slept in days and the clothes she wore were disheveled and wrinkled. Her beautiful hair looked unkempt, or at least, it looked as if an attempt had been made to brush it flat with a hand. But Anya didn’t know or at this moment she did not care. She had contacted Yutiro and asked him to meet her at the Palace library and that was her only concern. Anya had hung on to the words of her father as if, her life depended on them. 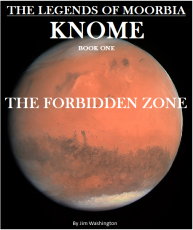 The Akadians had suspected that Wilhelm was trying to reach Knome, to be with her. Those words were like nourishment to her soul, and although her father dismissed it, to Anya it was everything. Wilhelm must have revealed the relationship he had had, with her, otherwise, why would they suspect that he had secured passage on the Corbellis for Knome to see her. These cyclical thoughts occupied her mind, she had to know. She tried to contact May, but her access to anyone outside of Knome had been curtailed. Security reasons was the excuse she had been given by her father. She doubted that, she remembered the look on his face after he revealed the news that Wilhelm was missing. She sensed that he wanted to take back those words. He didn’t want to discuss the subject further, and dismissed all her questions. She knew there was a reason for that. Had Wilhelm boarded the Corbellis, if so he would have been onboard at the same time she was a passenger. Were they that close? Anya’s heart sank at the thought. Was he still missing, she wondered, and what did that mean. Had he somehow made it to Knome and was now trying to reach her. She tried to dismiss her pessimistic thoughts, that it was impossible, that it was a mistake and he had been found. She needed to know. “I can’t go through with it, I can’t.” she uttered as she passed by a staff member who, turned around thinking she was speaking to him. Her pessimistic thoughts had won out and she paused. She considered going back, returning to her room and facing her fate. If she were to rest her hope on an impossibility that turned out to be impossible, it would break her and she wouldn’t survive. The thought of marrying anyone she did not love was repulsive to her. To wed someone she did not know, someone who was an enemy, for political convenience, there were no words to describe the gut reaction she felt. “I can’t,” she uttered to herself and continued on her way. Yutiro had been waiting for some time in the Palace library in the Sciences section where he had agreed to meet Anya. The area was secluded and dimly lit. Yutiro was anxious to see her, he had been pulled from her personal staff after arriving back at Knome and had not seen her since, nor had he received a note from her, which had often been the case back in Akadia. Her call to him was strange, at first, he thought that the call was a joke. Anya sounded different, desperate, something he had never before seen in his mistress. The time away had fueled his imagination, he had kissed and married her countless numbers of time. Actually, he allowed himself to indulge in this fantasy because he thought that he would never see her again in any intimate way. And then she called, and he, felt ashamed of his thoughts. He loved her and deeply respected her and it felt indecent to him to even fantasize about her, implying feelings in her that she had not revealed. He tried hard to rid them from his mind. “Anya?” Yutiro asked more to himself than to the approaching figure. Yutiro was stunned, he looked around for Anya, unsure the voice came from the approaching person. He now realized that the person approaching was, Anya. He wondered if she was trying to disguise her identity. But as she got closer to him, he could see that she was not well. He immediately felt concerned for her health. He grabbed her arms near her shoulders. “Anya, are you OK?” he asked genuinely concerned. Still stunned by her appearance he missed her greeting entirely. “My Lady, you don’t look well” He added. “Well, thank you,” Anya replied sarcastically, a littler hurt by his assessment. Anya’s moxie was still present and it pulled Yutiro out of his overt concern for her health. ‘Oh, my lady, I’m sorry, I didn’t mean…” Yutiro tried to explain his comments, but Anya interrupted him with a familiar eye roll. “Forget it, I don’t have much time,” she advised. “I am, sorry,” he added, which he meant and if he could have explained, he would have told her that even in her current state, she was the most beautiful woman he had ever seen. “I need you to contact May for me. To give her a message and I need her reply. “Can’t you contact her?” Yutiro asked perplexed, May, was her personal secretary, surely, she would have access to her. “Alright, I promise.” Yutiro complied, deep concern showing on his face. Anya paused, taking a deep breath. She looked around the library and walked deeper into the Sciences section where there was even less lighting. The stunned look on Yutiro’s face was confirmation that the secret held. Anya’s explanation crushed the small flickering hope Yutiro had, a hope that he might have a chance to win her love. He agreed that such a union would be impossible, he lived in Akadia and knew the people. Even among the diplomats, with whom he worked, such a union would be looked down on, if not protested. Yet, knowing this, did not raise his hopes. Anya was in love with someone else, deeply in love it seemed. Yutiro felt sick for the part he played in her distress. Anya was pleased to see the disgust on Yutiro's face, a feeling she shared. Yutiro was truly disgusted, to force Anya into a marriage, sounded archaic and wrong. “What are you going to do, my lady,” he asked. “Yutiro, I can’t do it. “She replied as her eyes misted. Yutiro approached her, taking her hand, without a thought to protocol. Yutiro wanted to help, but he wondered what he could possibly do in such a situation. His princess was powerless to change her circumstances, what could he do? Joy and hope flooded Anya’s eyes as she uttered the words. Yutiro was moved by Anya’s confession. He wished that he would one day know such love. “Do you really think he would come here," Yutiro asked. Yutiro paused, not because he hesitated to help her, he was so moved by the passion in Anya's voice, the passion in her demeanor, that he mourned that, that passion was not for him. Yutiro started to do just that, but before he could leave he felt a tug on his arm. Anya pulled him around and embraced him. Yutiro couldn’t help it he embraced her as tightly as she embraced him and for a brief moment, he was lost in her. “Thank you, Yutiro, Thank you. Thaingor forest was dense with huge massive trees of many sizes. The undergrowth was thick with nearly impenetrable thickets of brush, vines and foliage that covered the ground like a carpet. The natives who ran ahead of them dashed like rodents between the trees, leaping with each step, avoiding the tangles of vines and brush that seemed to ensnare Teric, Kore, Jasen and William as they tripped and stumbled along, being driven hard by the natives to their rear. The battle behind them was still going on and occasionally a laser bolt would make its way near them blasting into tree, splintering it, causing them all to go to the ground. But as they continued to be pushed deeper into the forest the sounds of the battle diminished as did the light due to the intertwining branches of the trees that acted as a canopy above them. Their pace was so relentless that Teric had no time to think as he nimbly avoided crashing into a tree or stumbling over a vine. The others weren’t so fortunate. Wilhelm had fallen a number of times, twice crashing into a tree, but he had no time to consider his injury as a native forcefully stood him up pushing him forward. Teric tried to look around to see who had his sword. He had let them take it as he entered the forest, figuring that it was better to escape a no-win situation, for one that was undetermined for the time being.Still, he wanted to know exactly where it was, just in case. The natives were warriors, tall and completely composed of muscles, it seemed. They were not clad in unison, but were distinctly mark by their clothing and facial markings. They were as graceful as Teric and his companions were not, as they ran through the trees. They held their weapons in the ready as they soared. The long weapons that they carried were a type of rifle, not an energized weapon, but one archaic to more advanced societies, but, from what Teric had witnessed, they were far deadlier. Crisscrossed around their chest and back were two animal skin belts that had pockets sewn into them which, carried the projectiles they loaded into their weapons. The sound that emitted from the discharge of their weapons was unlike the resonance of a blaster, it cracked, and gave off an almost imperceptible high tone as it pierced the air until it reached its target. One shot from those weapons pierced the armor and brought down the horde of black clad soldiers that stood between Teric, his companions and the forest. The natives ahead had come to a stop and waited for the rest of the group to reach them. As they did, few words were spoken as a cloth was put over Teric and his companions head which caused Jasen and Kore to resist somewhat until Teric had urged them to submit. After they had been blindfolded they walked for sometime and then Teric sensed that he was being lowered into what felt like a hole in the ground. And then all of a sudden, the bottom dropped as he freefell for what seemed like an eternity. Teric tried desperately to reach out to grab something, anything that he could hold onto to prevent a disaster that he did not want to think about. He began to wonder if he had made a miscalculation. The decent began to slow as he now felt a surface under him which soon turned horizonal breaking his speed as he came to a complete stop. Teric was forcibly lifted to his feet and the blind fold was removed revealing, a large underground cavern filled with more native warriors. Wilhelm, Jasen and Kore were likewise manhandled by the natives as they were all brought together to stand before a group of natives who stepped back as one of their members approached them. The Native member who approached them had an air about him which elicited a semblance of respect from the others. Teric concluded that he was their leader or commander. Teric quickly looked around but did not see his sword. “Who are you?” the native asked, “Flyers?” he added. Teric and Jasen glanced at each other, both of them not knowing how to answer since they did not know what he meant. “Are you one of them flyers?” he asked demanding an answer in his voice. After a long uncomfortable silence, the native leader snapped his fingers, prompting several warriors whom Teric recognized to come forward. The three men were carrying the weapons Teric and his companions had handed over. One of the natives dragged over Teric’s sword, straining under the weight of it. Teric felt relieved seeing his sword. He had always sensed that it was near, so he never panicked when it was out of his sight. The native leader took the sword from his subordinate with both hands, and held it out as he wrestled with the weight of it, finally letting it drop to the ground. “This sword belongs to you?” the native leader directed to Teric. Teric slowly took a step forward and grasped the hilt under the native leader’s hands. Then he lifted it up with one hand as a few in the chamber gasped and those closest to him stepped back. The native leader’s eyes widened in amazement. He turned and began to walk away. The natives standing behind Jasen, Wilhelm and Kore, began to push them forward to get them walking. No one pushed Teric however, instead a native stood in front of him and gestured for him to follow. Above ground, Thaingor forest and the nearby plains were littered with thousands of black cladded soldiers combing through the forest searching for the infiltrators and the natives who rescued them. The battle with the natives had abruptly ended when thousands of reinforcement troops had arrived. The natives quickly retreated deeper into to the forest pursued by the newly arrived soldiers, they disappeared into well hidden entrances to their underground lairs. Hovering above the forest, reconnaissance ships were being employed in the search effort, scanning and imaging the surface for clues. Command positions had been set up at the forest's edge. Two soldiers approached the command post and were allowed in to the structure, met by two officers, they were escorted to the Operations Commander Izkan Doomaz. “Sir, we searched the probable range, multiple times and were unable to track the targets to their escape route,” the ranking soldier replied. “Sargent, are you telling me they just disappeared,” Izkan asked as he approached the soldier. “The current range is already larger than anyone could cover on foot, Sir. We believe that they entered some hidden aperture within the current range.” The ranking soldier replied. “Of course.” Izkan offered. “And our reconnaissance findings?” he asked. Izkan walked around the soldiers several times as he considered his options. “Sir?” one of the officer uttered surprised by the discussion. “Call it off,” Izkan added with finality. “That will be all! The soldiers turn and walked away out of the command post as the officers remained. “What now sir,” one to the officers asked.